I had a rough patch in my personal life last year (doing better now) and had not put a post here in a while. Here are a few random selections from what has been on my bench in the past few months. Click to enlarge. 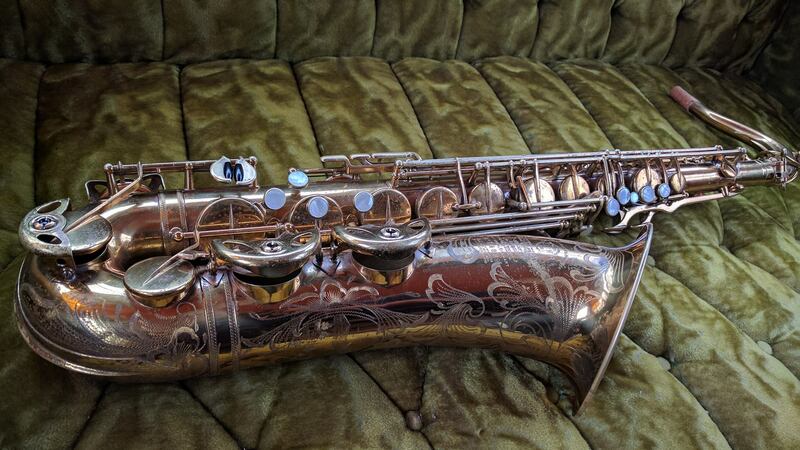 Nearly immaculate Selmer Radio Improved tenor. This one came to me wearing original pads, which is the first time I have seen that on a Radio Improved. 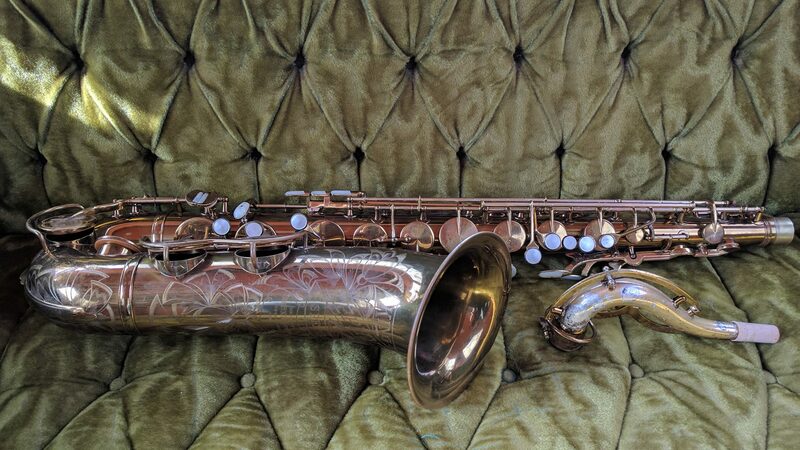 94xxx Selmer Mark VI tenor, unengraved. About 1/3 of the European market Mark VIs were unengraved. 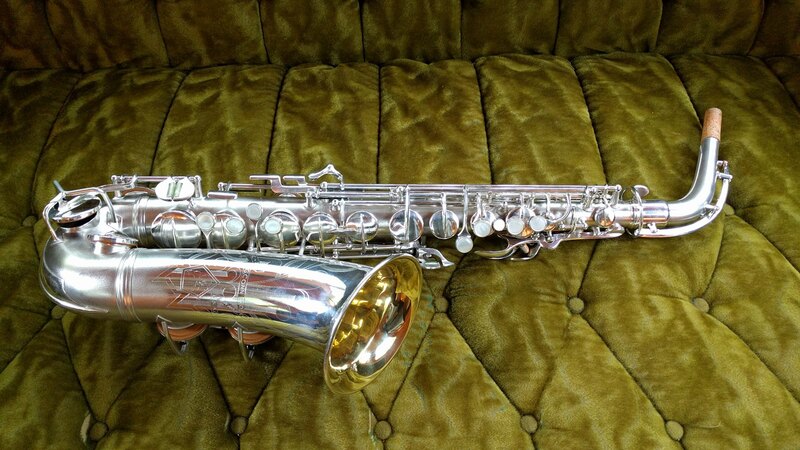 Conn 30M I overhauled a few years ago coming back through for a checkup. 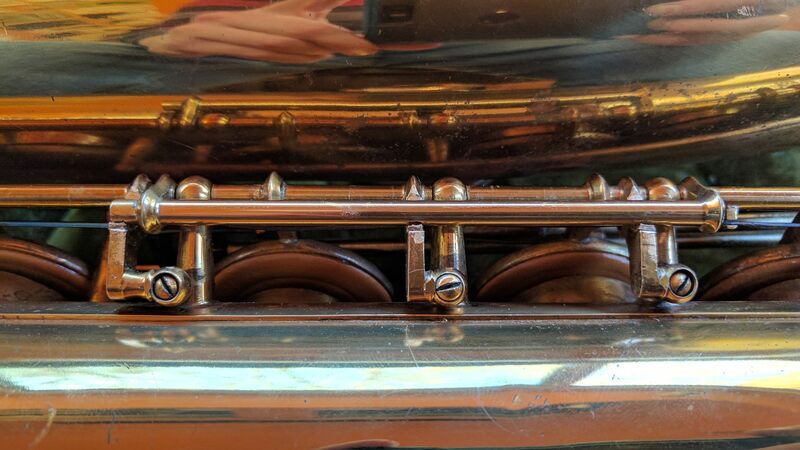 Selmer Balanced Action tenor lower stack key feet detail. 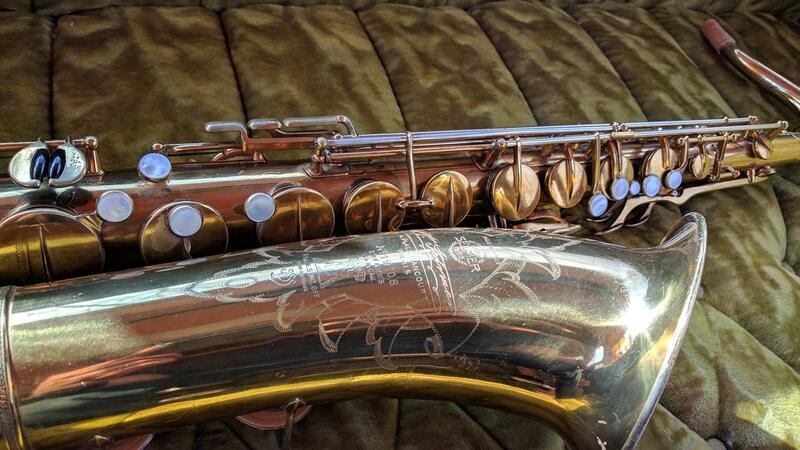 Selmer experimented with adjustable screws in this area a lot in the Balanced Action run and there are several variations. 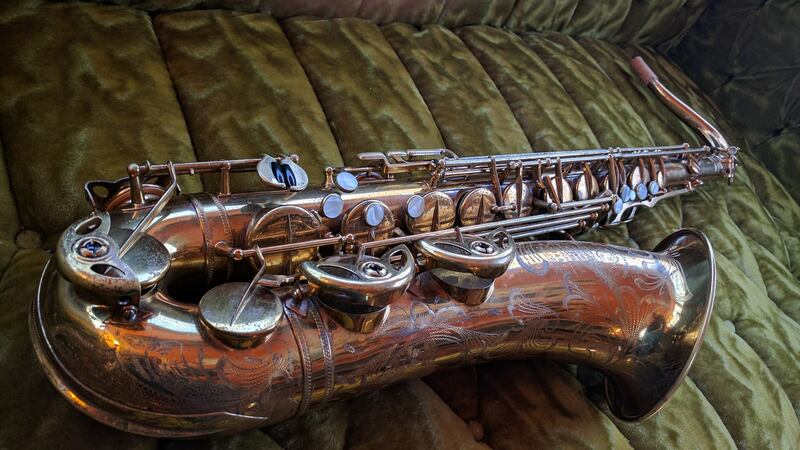 Another stunningly beautiful all original King Zephyr Special gets overhauled and goes out into the world to make music again after a long, long sleep in a case in a closet somewhere. 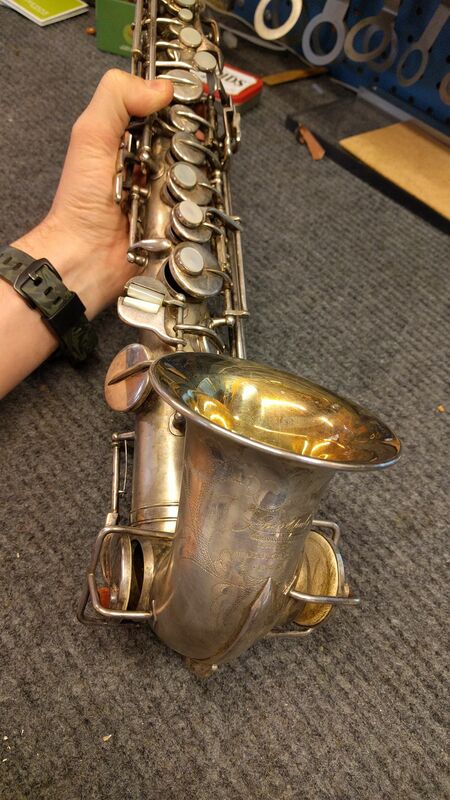 An extremely rare Lyon & Healy “Perfect Curved” soprano stops by for some minor resoldering work. Original pads. 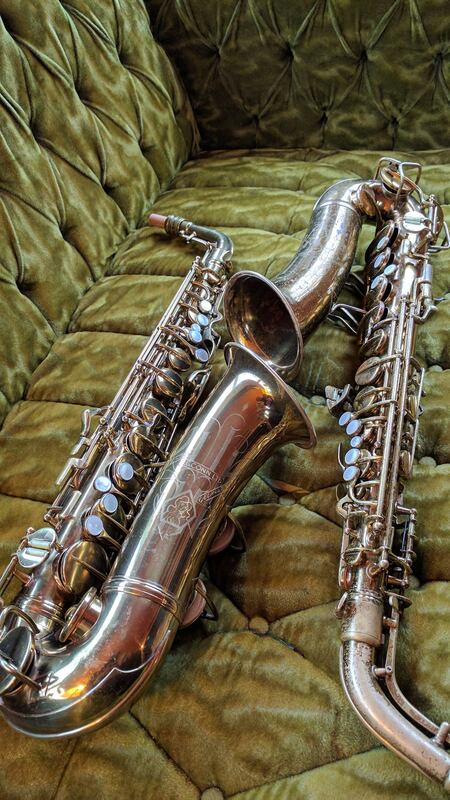 Two Conn 6M transitional altos. Different owners from different sides of the country, ended up being 51 serials apart. 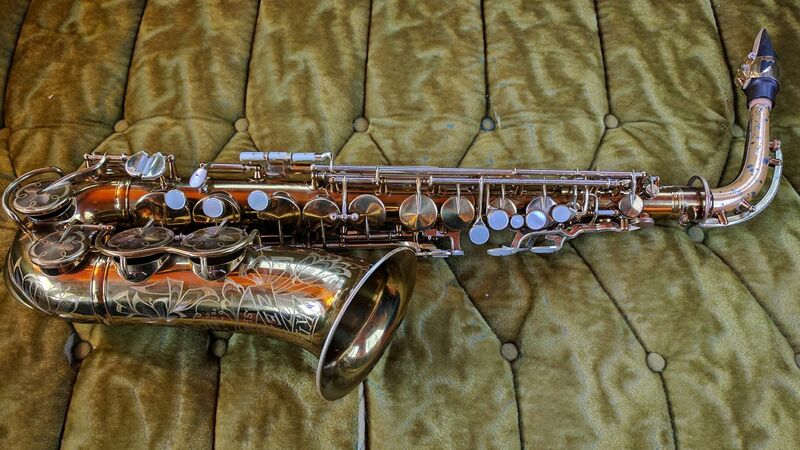 Another all original King Zephyr Special tenor. 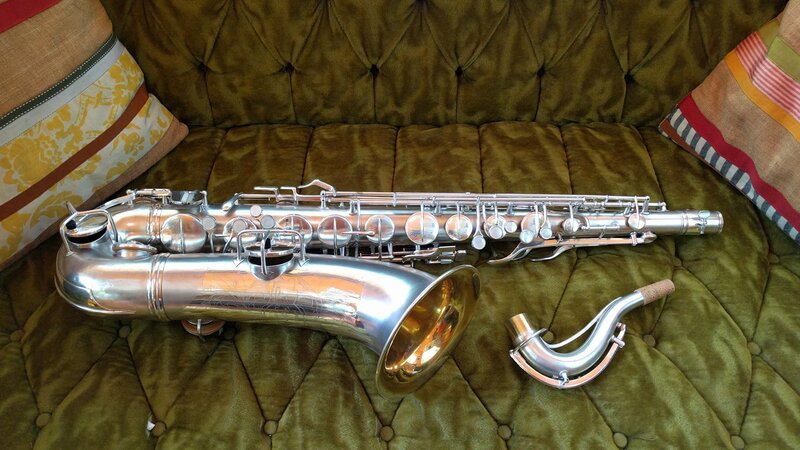 A really clean later Selmer Mark VI tenor. 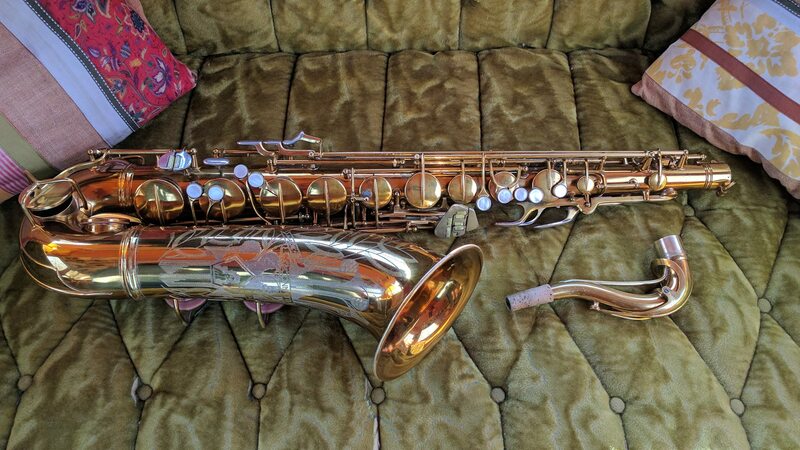 The owner bought it new with his dad when he was a kid. 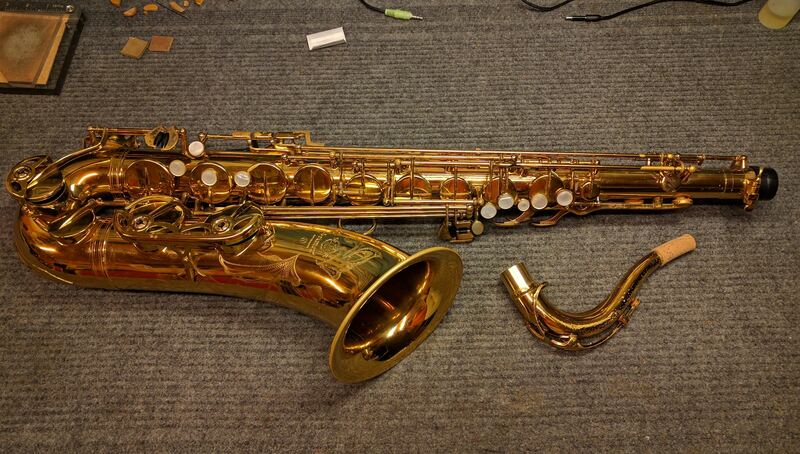 It received a full mechanical rebuild and some dings removed and a neck fit. Owner was concerned about a lack of power, and that certainly isn’t a problem anymore! Some of my tidiest work yet, if I do say so myself. I am rarely super pleased with my own work, and when I am it doesn’t last for long, but I’m pleased with myself tonight. I love clean work. Who did this overhaul? Nobody. 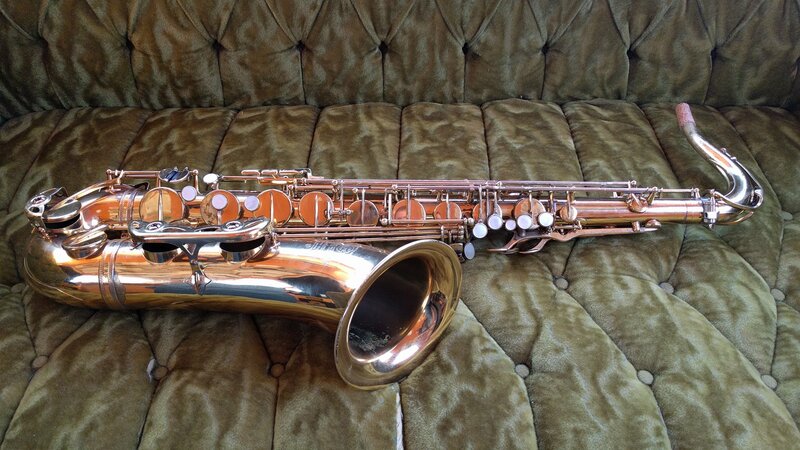 Conn New Wonder Series II tenor. 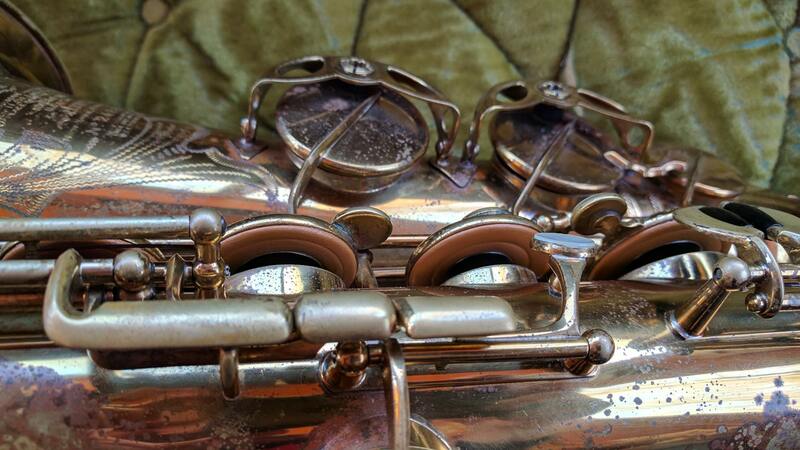 This one was heavily tarnished and took a LOT of elbow grease to get cleaned up.